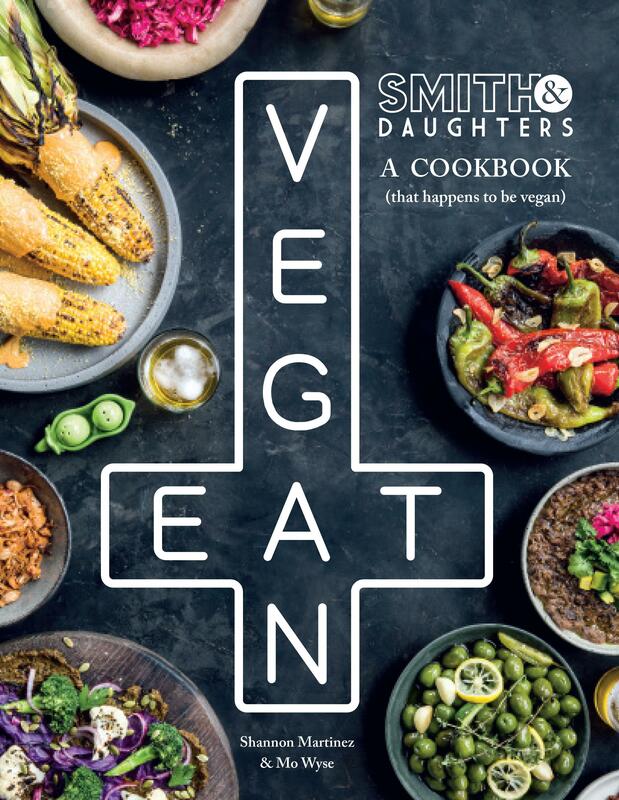 Smith & Daughters: A Cookbook (That Happens to be Vegan) ignores convention in favor of plant-based creativity in the kitchen. Shannon Martinez and Mo Wyse set out to build a restaurant that’s fun and full of life with a rock and roll vibe, and where good food is served - that happens to be vegan. No shouting about saving the animals. Shannon comes from the perspective of a carnivore and combines science, innovation and whimsical methods to create dishes and flavors that aren’t the norm for vego/vegan food. She instead tries to replicate the tastes and textures of meat that is the opposite of bland, predictable vegan food. Across 7 chapters, including big plates, small plates, salads, sweets, dressings and drinks, Smith & Daughters offers 80+ delicious vegan recipes with a Spanish twist to recreate at home. From ‘chorizo’ and potato, Spanish ‘meatballs’ in a saffron almond sauce, chipotle cashew ‘cheese’, ‘tuna’ and green pea croquettes to doughnuts, avocado and corn icecream, the recipes give new inventive life to classics that will appeal to meat and vegetarian eaters alike.